OKC-Lakeside United Methodist Church, at the corner of May Avenue and Northwest 66th Street, dedicated its new permanent sign June 30. It was placed in honor of Bill Bates, an architect who designed the church tower and first sign, and the late Aubrey McClendon, a prominent businessman and longtime Lakeside supporter who was a major donor for the sign project. 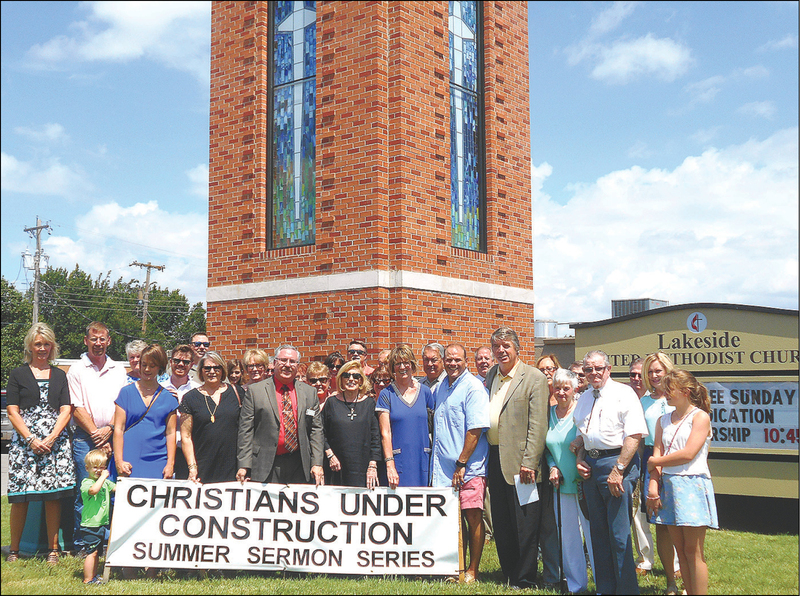 With the new sign visible at right, worshippers hold a banner promoting Pastor Randy McGuire’s sermon series titled "Christians Under Construction."